Homeowners seeking to protect their investment understand the value of routine building maintenance and inspections. 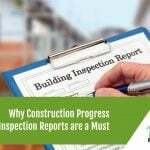 It’s more than just the cosmetics and appearance of the house, regular building inspections allow you to know with confidence that the structural integrity of the building is intact. Property owners benefit in various ways when they have professionals complete regular building inspections on their buildings. It’s just like an annual check-up at the doctors, things may seem fine but you know that you should allow for at least a check-up once a year to make sure that there are no hidden issues. A thorough house inspection will include a survey of the status of all structural components of a building. This includes things such as roofing systems, support beams, sub-flooring, and other aspects critical to safety and structural integrity of the building. If problems are detected during a routine inspection, chances are they will be caught early enough to help lower repair expenses. Early detection of potentially serious structural concerns may can allow for preventative measures to be put in place. Comprehensive house inspections should include visual and infrared termite screens. You can protect your long term investment by having a building and pest inspections as these nasty creatures will hide from your sight but cause a lot of damaged. If not found early on, it can cause a lot of issues with the structure of your building down the line and could be more costly and far more dangerous. Things like smoke alarm testing and the testing of other systems. These additions to a routine house inspection allow the property owners to have peace of mind and know that they are doing their best to protect their investment. Allow professionals to detect problems in your investment property before they become big and costly issues that need repairing. Protect your investment and the structural integrity of your home by having regular building inspections as part of a standard maintenance routine, add it to an annual schedule and have peace of mind. Looking for the right professional team to inspect your investment property? 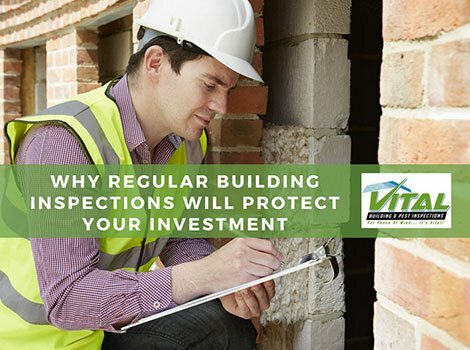 Here at Vital Building and Pest Inspections, we come from a background in home repair and restoration, so we understand exactly what we are looking at, what could potentially be the cause of any problems, and how much work and money is likely to be involved in fixing them. We give each inspection our full attention and best efforts, because we truly care and value our customers. Isn’t that the kind of inspector you want on your side? We’re based in north-west Sydney and perform inspections all over the greater Sydney area. If you’re wondering if we service in your area- don’t hesitate to ask!